Decorating a co-worker's cubicle is one way to say "Happy Birthday." Celebrating a co-worker's birthday at the office is a nice gesture of appreciation and a definite way to break up an otherwise standard day of work. Most office birthday celebrations are the same: a cake, a card signed by everyone in the department and a singing of the classic "Happy Birthday." Instead, planning a funny birthday celebration for a co-worker is a fun way to do something out of the ordinary. Decorate the honoree's cubicle or office with multicolored sticky notes. Cover the surface of the desk, the computer, the chair, the walls and the floor. If possible, try to spell out the words "Happy Birthday!" with sticky notes. Visit any store that sells electronic equipment and buy alphabet stickers for the computer keyboard. Using those stickers, spell out "happy birthday" on your co-worker's computer keyboard. 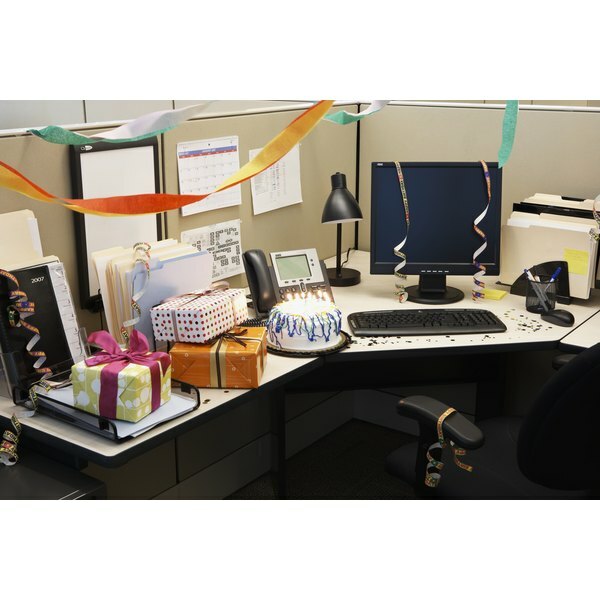 If your co-worker has a small office or a cubicle, stuff that space with brightly colored balloons. 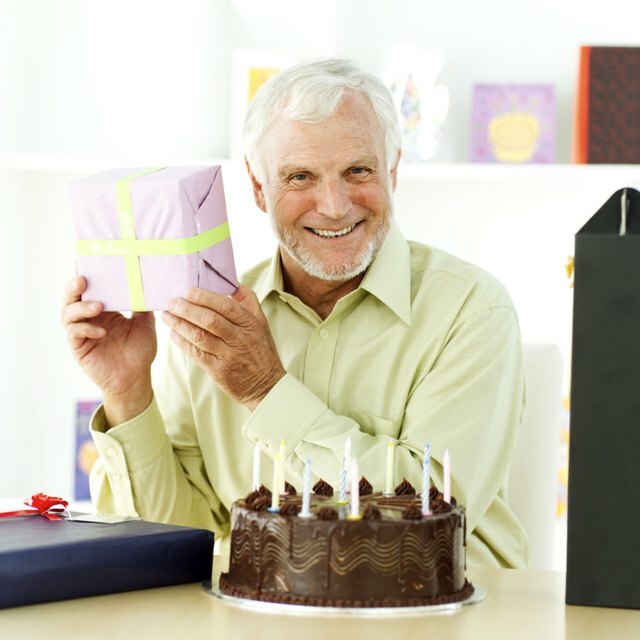 While cakes are a traditional birthday food, instead of frosting the cake with "Happy Birthday," print a common catchphrase or uttering used often by your co-worker. For example, phrases like "I'll get right to it" or "Sounds good" aren't amusing when heard in the context of an office conversation, but should be funny when iced on a cake. Certain cake companies create cakes in the shapes of laptop computers, printers and keyboards that are cute and appropriate for an office party. For a funny office birthday party prank, have the entire office pretend to have a morning meeting before the honoree arrives at work. When the honoree arrives at work and sees everyone else in his department in a meeting, he'll think he forgot about a scheduled meeting and is in trouble. Have your boss tell him that his "presence wasn't needed at the meeting" and that the boss would like to speak with him that afternoon. That should plant the seed in the honoree's mind that he's either in big trouble or possibly about to be fired. Ideally, this will be something for him to worry about for the rest of the day. When the time for the afternoon meeting occurs, the honoree should meet with the boss in the boss' office. The boss should say something like "It's been brought to my attention ... that you're ... another year older!" At this time, the rest of the office staff should throw open the door and yell "Happy Birthday!" holding a cake with lighted candles.